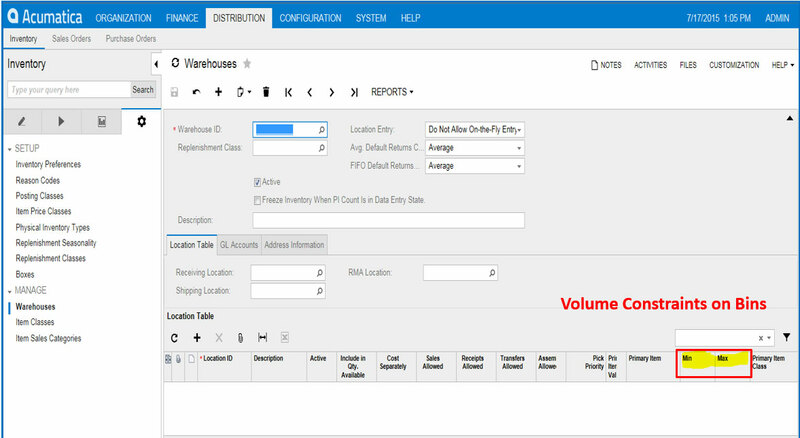 FusionWMS – Advanced builds on FusionWMS – Core and is designed for more complex warehouse environments that need functionality usually reserved for independent Warehouse Management Applications. 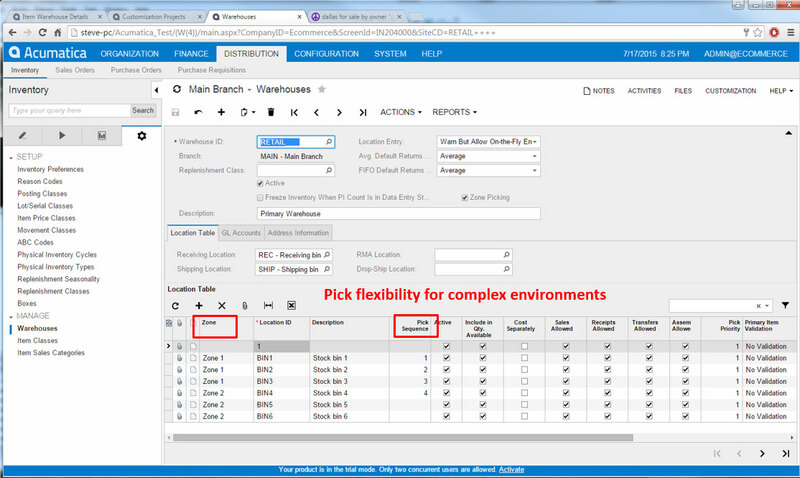 However, all functionality of FusionWMS – Advanced is built directly into Acumatica. Leveraging Acumatica’s extensive application framework, FusonWMS delivers all of this functionality without the need for maintaining an external application, additional databases, or syncing. Independent Pick Sequence FusionWMS allows for designation of a bin pick sequence independent of the Bin ID. Warehouse Zones Bin segmentation into zones can be used to identify isles or sections of a warehouse for faster, more accurate picking/put-away. Pick lists may be segmented by zones. 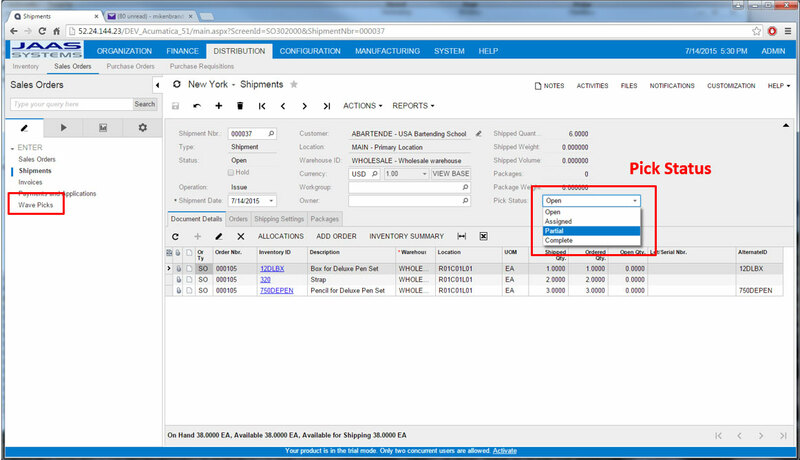 Bin Volume Constraints FusionWMS allows designation of a Max and Min by quantity or volume for each bin. This facilitates bin optimization as well as auto-restock of floor bins from bulk or storage bins. 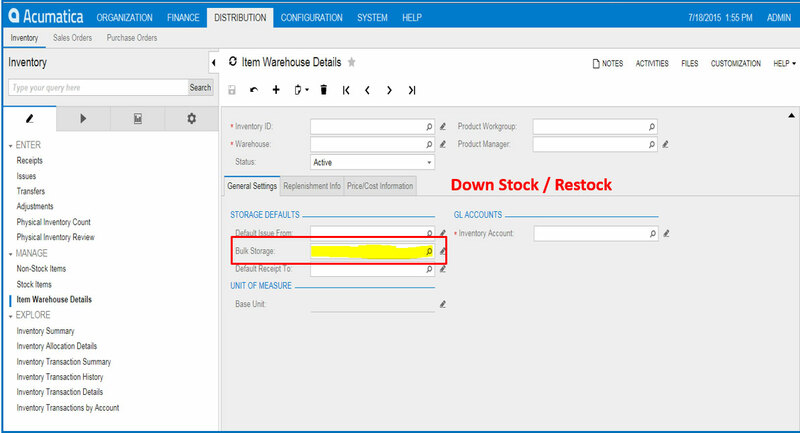 Down Stock/Restock With the introduction of volume constraints on bins, FusionWMS can auto-generate restock instructions to move items from bulk/storage to floor/pick bins to ensure optimum picks. 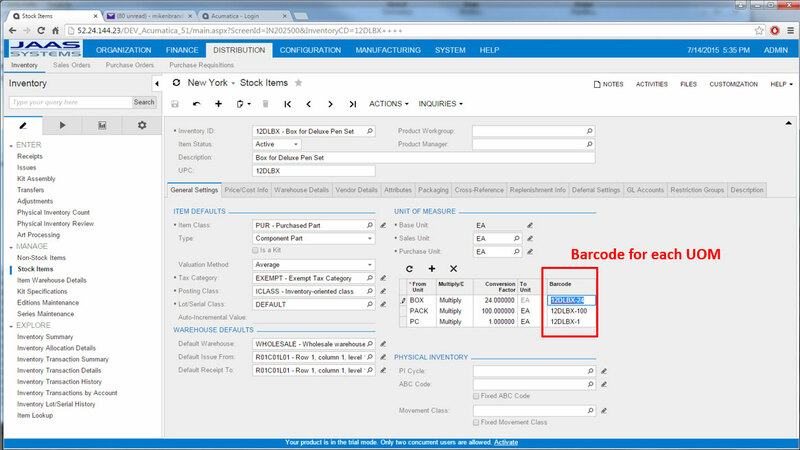 UOM Barcodes Adding a unique barcode for each unit of measure ensures accuracy when moving / selling case or pallet quantities. UOM barcodes may system generated or scanned from external case labels. 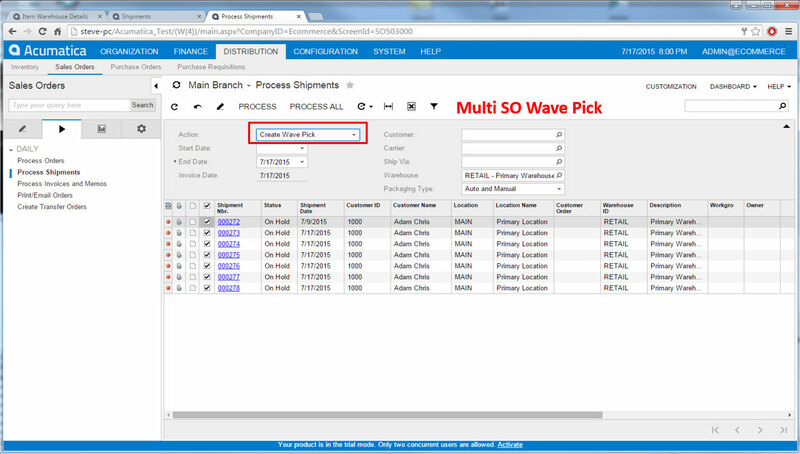 Multi-SO Wave Pick FusionWMS allow the grouping of many shipments onto one or more wave picks. Item quantities are summed and presented in bin pick sequence to ensure optimum throughput by minimizing travel. Picks may be segmented by zone and distributed either by paper or directly to the gun. 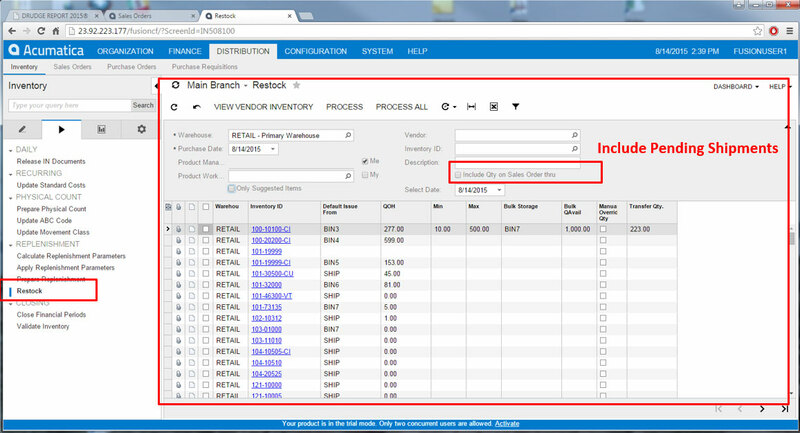 Pick Status For multi-gun paperless warehouse environments, FusionWMS has added a Pick Status designation to Acumatica, so others know when an individual pick is Open, Assigned [to a gun], Partial [picked], or Complete. License Plating FusionWMS allows for assignment of a License Plate or Pallet ID, which, when scanned, represents a collection of items. This is particularly helpful when assembling items for storage or future shipment. 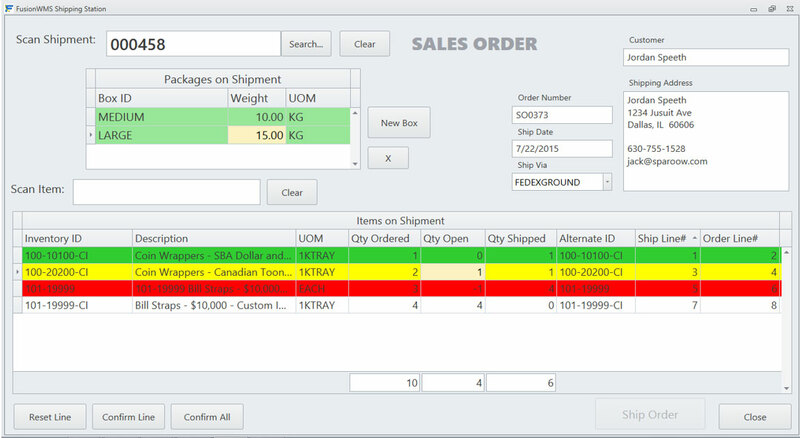 When used in conjunction with Pack Contents, it allows a user to ship the contents of a pallet by scanning one License Plate. 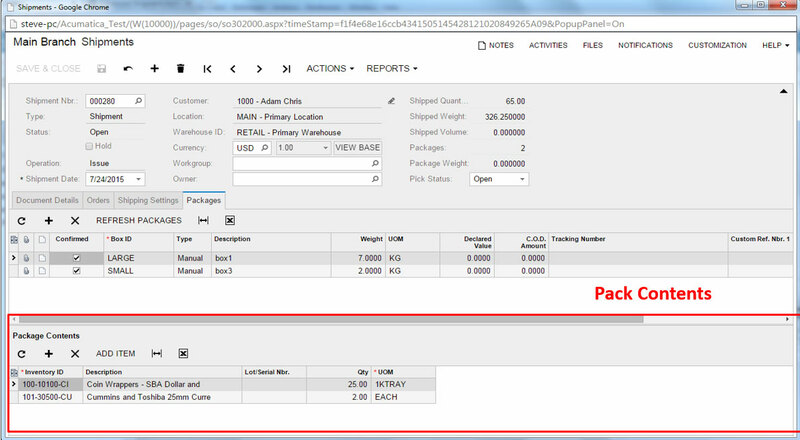 Pack Contents FusionWMS delivers pack contents requirements necessary for shipments. It provides detailed packing lists for each package sent out and maps the carrier’s tracking number back to the individual pack. 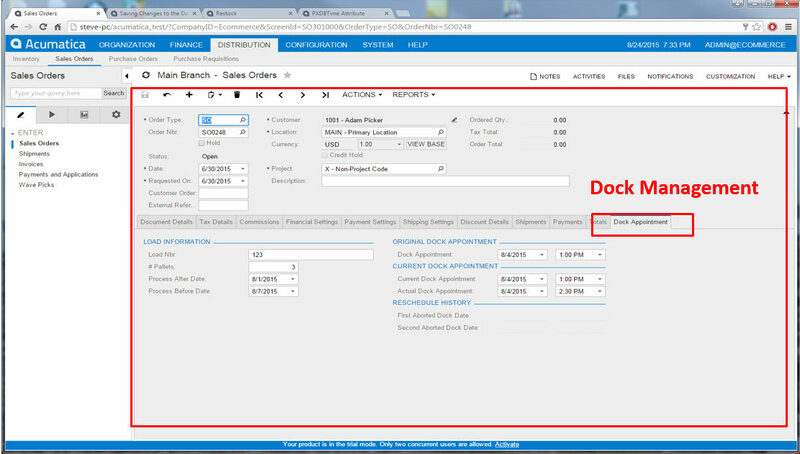 EDI Integration FusionWMS has out-of-the-box integration with select EDI providers. Call for details.